Spare your elbows some abuse. 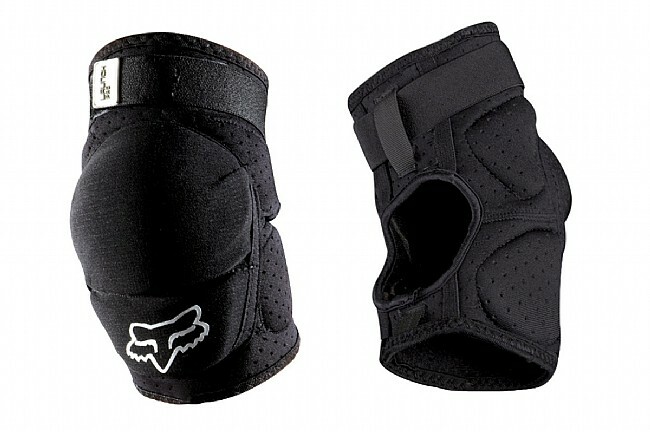 With the Launch Pro Elbow Guards from Fox, you can ride the local trails knowing that if you take a tumble, your elbows will have the protection they need. A hard plastic cup, ergonomically shaped for riding comfort, provides the protection with these guards, and it is additionally given a Kevlar® fabric cover for some extra durability. The rest of these guards is made from neoprene for a great combination of comfort and a little added protection from small impacts. To ensure proper breathability, the neoprene is also perforated for heat and moisture dissipation. Kept in place with hook and loop closures, the Launch Pro's are a go to set of elbow guards. Available in black with white logos. These are the first elbow pads I have ever mountain biked in. I was super stoked on these, they were super comfortable, they did not rub, I did not get hot in them, and they stayed in place all day. I forgot I even had them on. I would buy this product again.